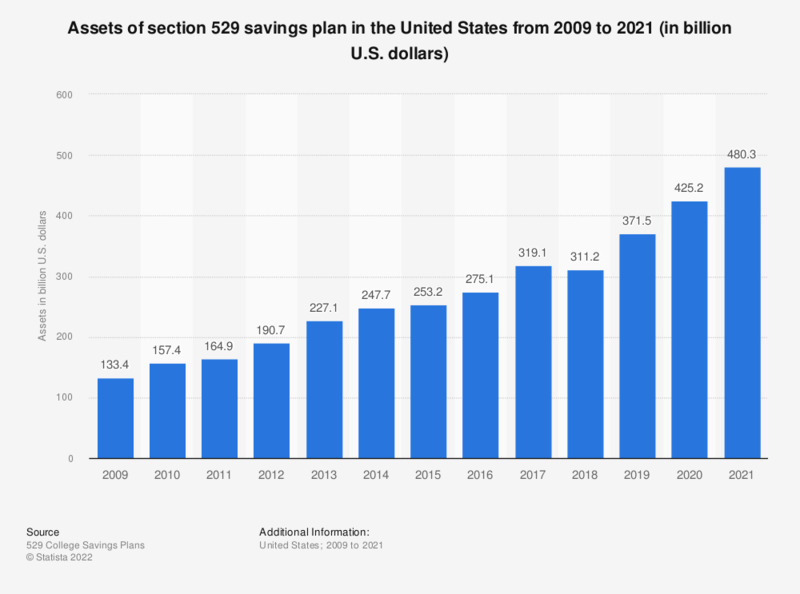 The statistic depicts the assets of section 529 savings plan in the United States from 2001 to 2017. In 2017, the assets of the section 529 savings plan reached 293.9 billion U.S. dollars. The source adds the following information: "Data were estimated for a few individual state observations in order to construct a continuous time series".